I remember this one! A good post. And still very much needed. I found typos in my resume. The moral of that story is to proofread. I’m grading my students’ cover letters and resumes right now for the writing for business class . . . hmmm . . .Glad you corrected the ones on yours, Linda! Linda: such great timing! I always learn something when I read your blogs; this weekend I’m doing some proofreading, and the information you’ve provided just reminds me of some of the tools I have forgotten about. I read a lot of typset hymns, and always read from the back – but had forgotten to employ that same method when I’m reading typeset pages. Thanks!!! You’re already a great proofreader, Claudia! But so glad you learned something new! 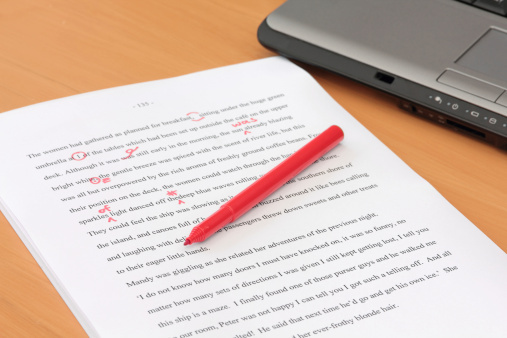 Six quick tips on proofreading. Helpful for when you edit your writing. Reblogged from Linda Taylor, freelance copyeditor and proofreader, professor in the Professional Writing Department at Taylor University, and boardmember of the Midwest Writers Workshop. Great Tips!! As long as proofreading is a smart way to findout the errors of a article, so i think the given tips are useful for everyone.Thanks for this brilliant advice.